Relationships between parents and infants can shape health across the lifespan, and recent research at the UO suggests that this connection goes all the way down to the cellular level. Telomeres are protective caps at the ends of DNA strands. They can reflect the human biological clock because as they shorten over time, people become more likely to experience health issues such as dementia, diabetes, cancer and cardiovascular disease. Psychological stress can cause telomeres to degrade more quickly. When cells are exposed to the stress hormone cortisol, they produce less of the enzyme responsible for maintaining the ends of telomeres. 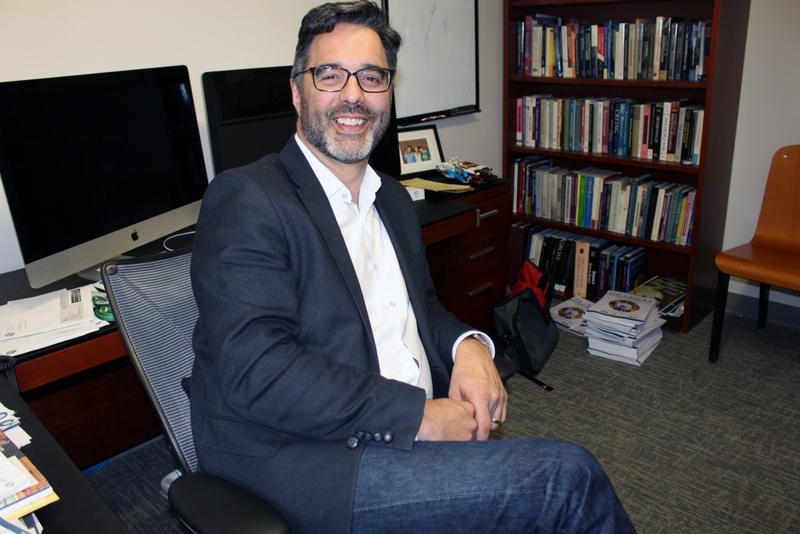 UO psychology professor Nick Allen and University of Illinois assistant professor Heidemarie Laurent, along with UO doctoral student Benjamin Nelson, wrote about their recent research on the connection between maternal depressive symptoms and infant stress and later cell health. The story was written for The Conversation and republished by Daily Mail UK. The team highlighted an important takeaway: the funding of maternal mental health treatment and early childhood policies is vitally important. “Fostering positive experiences between infants and their mothers — as well as providing affordable, scientifically supported treatment services for mothers experiencing depression — may allow infants to move toward a healthier life trajectory,” they wrote. For the full story, see “Babies suffer postpartum depression too: Mother and child's cells are linked for up to 2 years after birth, scientists find”. Allen’s research group uses a developmental psychopathology to examine how children are affected by the environments in which they grow up. Laurent’s research interests are on a developmental biosocial dysregulation model of depression. Nelson’s current research focuses on the ways in which relational experiences interact with psychophysiological pathways to influence the onset and maintenance of psychopathology.